My latest mapping project has now been released. 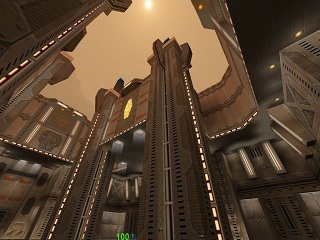 It is a large single-player unit for Quake 2, set a few months before the infamous and ill-fated Terran offensive against Stroggos. 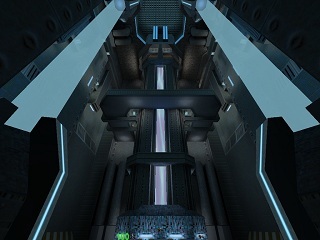 Carry out a perilous solo mission to destroy the Power Core that protects a vital facility! The unit consists of six levels, and makes extensive use of custom content to create a distinctive look and feel. The architecture is a blend of several styles - namely terrain, industrial base and high-tech. The game DLL is based on a modified version of the Lazarus mod, which adds many new features to the original Quake 2 game. Download Slight Mechanical Destruction (23520 KB). Knightmare has released a new game DLL so that the unit can be played using his KMQ2 engine, and has modified the source code to make it easier to compile under Linux. Many thanks! Website design & content by Chris Walker.